Bird populations are essential to the health of our planet. Please play your part by supporting and spreading the word about the RSPB's vital work. How do the RSPB work? This amazing bird charity's work is powered by their belief that every individual has a part to play in the protection of birds - including the places they live. You can look at the well-being of the planet in terms of bird populations and predict how things will be in the future - this is why it is vital everybody understands why they should help protect birds. As it turns out - at this present moment in time the need for measures to protect birds has not been more crucial. What are the threats to bird populations? There are many factors which can cause birds to become endangered. These range from changes in the climate, more intense farming, growth of human areas and roads. In addition over-fishing of the Earth's seas for fish for human consumption is cutting down the amount of essential food that is needed to keep bird populations thriving. How can you help with bird conservation? The RSPB would not be able to survive without the support of people like you. It's up to you to decide whether to sign up as a member or perhaps buy membership as a gift for a loved one or friend. 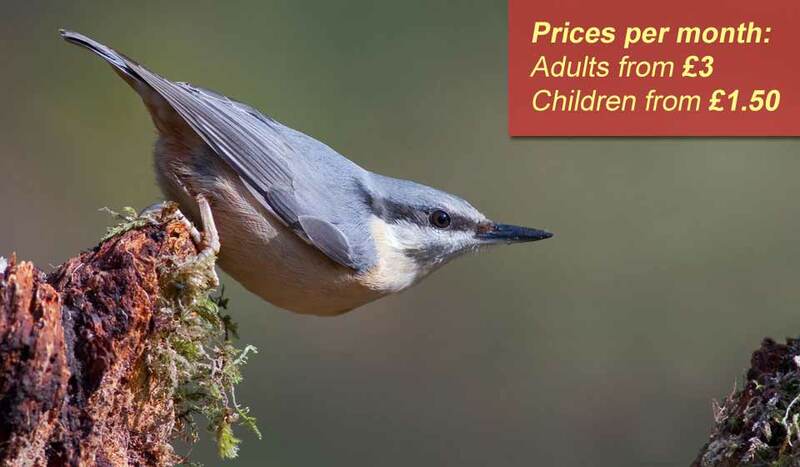 Whatever you decide, please help the RSPB protect birds today. When you sign up the RSPB will give you a fabulous free joining gift. 03 Free entry to RSPB reserves and bumper welcome pack including the 'Discover Nature' book. This well-known bird charity is older than you might think. It was originally founded in 1889.